Wind speed and direction are 10 minute averages. All data provided in these pages are © Finnish Meteorological Institute (FMI) and/or Finnish Environment Institute (SYKE). The data are updated automatically, with no quality checks necessarily applied, and may contain errors. 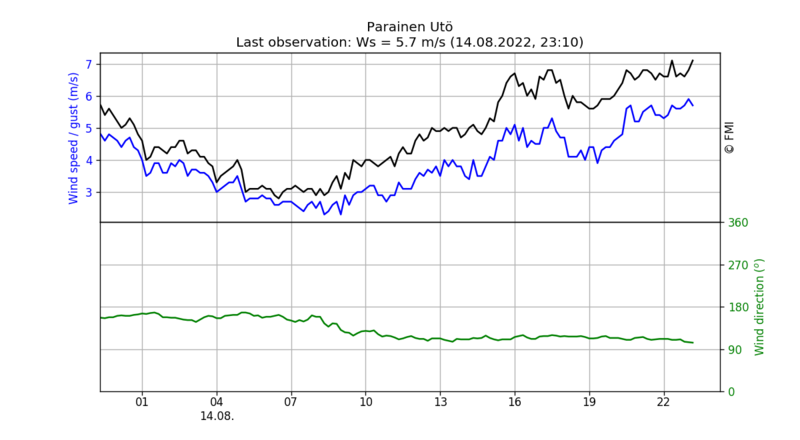 Time information is given in Finnish local time (currently summertime EEST = UTC+3h). For more information, see the About page.